Lost In The Warp: A fresh new start AND Gen Con 2014 ! A fresh new start AND Gen Con 2014 ! 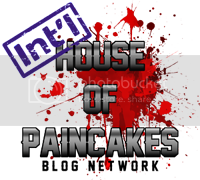 I am back and have a great series of articles either done or nearly done so that I know my blog will stay on track for a good long time. It looks like I should be back to a schedule of posting almost every week though I am going to take a decidedly relaxed approach to this (not gonna freak if I miss one of of 6 or 8). This past year has been a real rollercoaster for me with new classes and responsibilities at work, trying to keep up with two growing hellions...er....children at home, and working to organize my new house and still find time to show my wife that I love her (hi honey!). 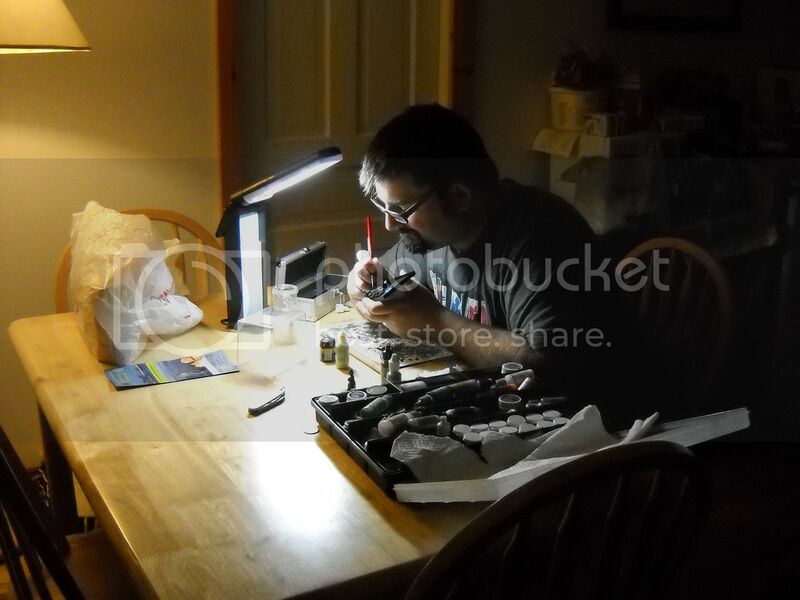 Paint and hobby time were stretched pretty thin and in that time the blog had to be in hiatus. As the school year drew to a close and I could see a tiny smidge of breathing room coming my way, my incredible wife told me to make painting/hobby work my priority during the month of July so that I could have something I was proud of to show at GenCon this year. And then, against all odds and reason, I actually won. 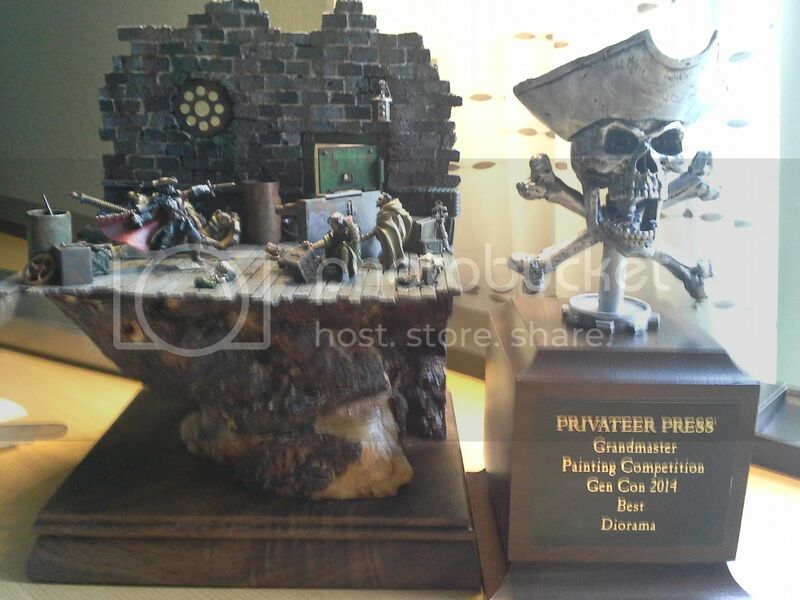 So among the other things I had intended to show over the next months I have been working on preparing a series of articles on the creation of my GenCon Machines of War category winning model and my Privateer Press Grandmasters Diorama Category winning scene. I find myself totally reinvigorated. This is a fresh new start, for my blog, my painting, and my competitive spirit. I look forward to seeing what this new chapter brings. Below is a slideshow of some pictures from Gencon - including some shots of really cool models that I saw. Thanks to all the people who shared their work, who talked and who listened to me and who made for a truly memorable 4 days - and most of all to my wife who supported my return to competition and apparently to form! Lovely photos! Thanks for sharing them!